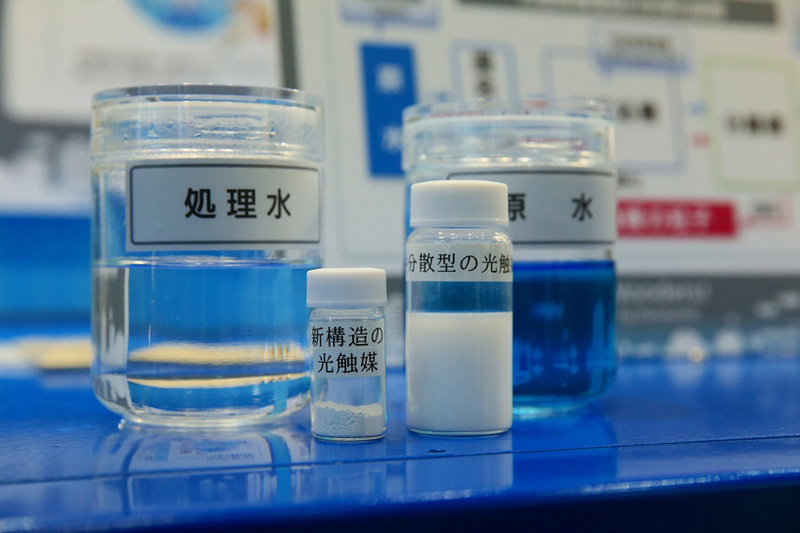 to solve many worldwide drinking water-issues, the panasonic ‘photocatalytic water purification’ technology enhances sunlight to create safe, drinkable liquid. 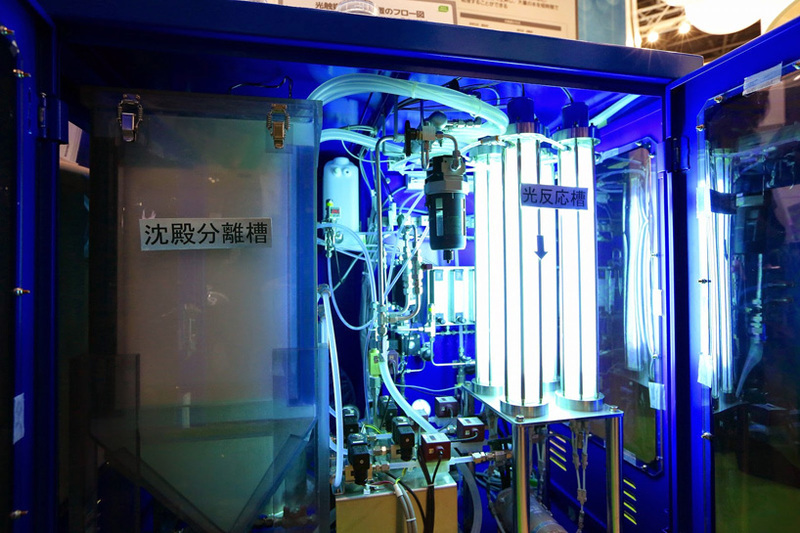 by using photocatalysts and the UV rays from the sun to detoxify polluted water at high speeds, the project was unveiled at tokyo’s eco-product 2014 and aims to be used by small rural communities. the technology has two core stages of development, with achieving a high capacity to decompose toxic substances being the first, and achieving high processing speeds as the latter. the initial step uses the synthesis of photocatalysts when they are exposed to ultraviolet light, to form reactive oxygen to purify harmful substances. 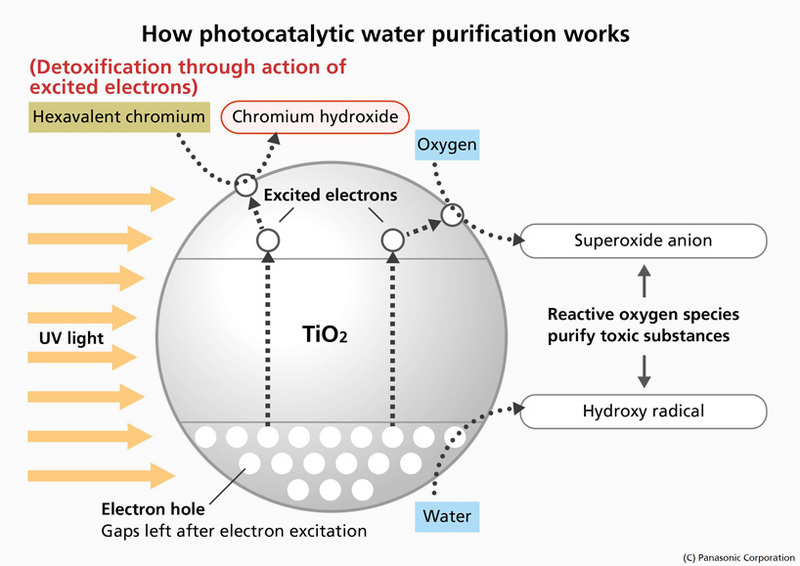 the final stage disperses photocatalytic materials as the particles become agitated and TiO2 is released from the zeolite into the liquid, which makes it easy to separate and recover the reaction instigators from the liquid.